Akm, Ahsan Ullah. (2017). Rohingya Migration: Is it a Function of Persecution. Brunei: Universiti Brunei Darussalam. Barron, S., Okell, J., Yin, S. M., VanBik, K., Swain, A., Larkin, E… Ewers, K. (2007). Refugees from Burma: Their Backgrounds and Refugee Experiences. Washington DC: Center for Applied Linguistics. Department of Population & Ministry of Immigration and Population. (2015). The 2014 Myanmar Population and Housing Census: The Union Report. The Republic of the Union of Myanmar, Census Report Volume 2. Ling, H. (2008). Emerging Voices: Experiences of Underrepresented Asian Americans. Location: Rutgers University Press. Skidmore, M. (2005). 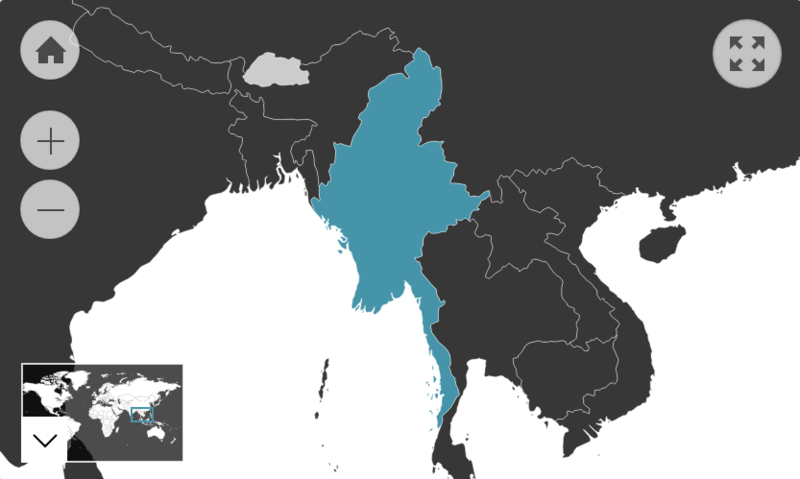 Burma At The Turn Of The Twenty-first Century. Location: University of Hawaii Press. Smith, M. (1994). Ethnic Groups in Burma: Development, Democracy and Human Rights. London: Anti-Slavery International. Yin, S. M. (2016). Myanmar - Culture Smart! : The Essential Guide to Customs & Culture. London: Kuperard.